Wildflower Hall, Shimla is an historic building that was built on the original the site of Lord Kitchener's home. 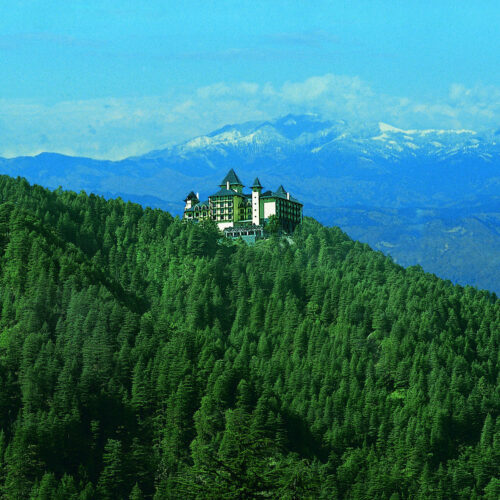 This country retreat hotel has a magical setting amongst deodar, pine and Himalayan oak trees. You will find that all the beautifully furnished rooms and suites offer staggering panoramas of the surrounding Dhauladhar and Garhwal hill ranges. Due to the wonderful temperate summer climates and refreshing mountain air Shimla was an obvious choice for the summer capital of the British India back in 1863. Away from the heat and dust, it is set 8,250 feet above sea level and offers the perfect retreat in the beautiful mountain wilderness. The elegant wood panelled dining room offers excellent Indian and international cuisine. Dine on the spectacular terrace or adjacent glass conservatory offering sweeping panoramic views. After dinner relax and unwind in the Cavalry Bar with its well-stocked library of whiskeys and silk sofas that hug the fireplace. 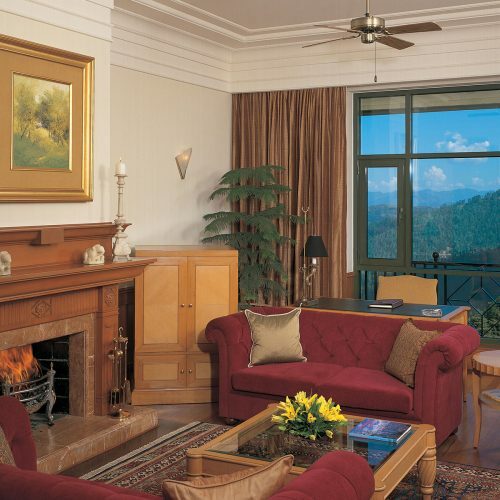 All the rooms and suites provide views of the gardens and rockeries or sweeping valley vistas. With lovely heritage details such as armchairs, ottomans to Victorian style lamps and rugs this truly is a wonderful inviting country retreat hotel. The deluxe suites have rich upholstered furniture and fireplaces at the heart of the private living rooms. Indulge in some of the Oberoi Experiences, from private picnics at The Peak, a bungalow that dates back to 1863, or mountain bike through the meandering rural paths to the challenging off road trails. 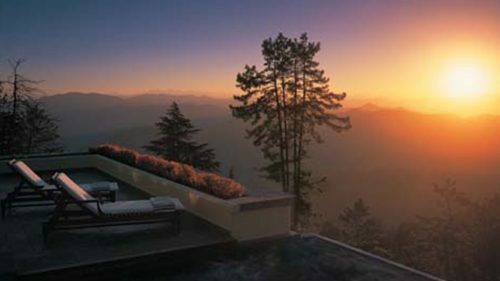 The open air whirlpool affords wonderful views over the Greater Himalayas, while the indoor pool is temperature controlled through-out the year. The best months to visit are usually April, May and June and September to November. For the winter months do get snow. Shimla is also pleasant during the monsoon months of July and August but carry a waterproof – downpours can suddenly occur.